The wood thrush’s beautiful, lyric songs echo thru deciduous forests in the eastern U.S. in spring and early summer. A bit smaller than an American Robin, the wood thrush will occasionally nest in suburban areas where there are enough large trees. Numbers have seriously declined in the past decades due both to loss of habitat and Cowbirds laying eggs in the wood thrush nests, with the result of the thrushes raising more cowbirds than their own species. New preservation and protection zones in the Adirondacks, Smoky Mountains and Ozarks National Forest will hopefully help these beautiful singers to rebound. 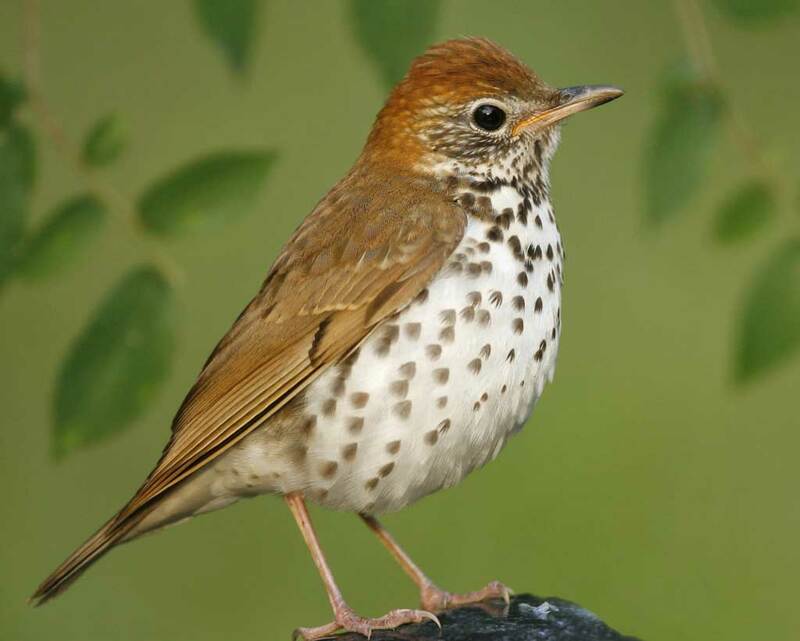 Check out the BirdNote presentation to learn more and hear the song of this glorious singer→ the Wood Thrush. Thank You! Please visit again as I plan to do more of these nature posts along the way now. Best wishes!